Which high school math curricula should you use for home schooling? In a nutshell, I recommend for most homeschooling parents to use a textbook along with some video instruction. Why a textbook? Because it is good for students to learn to use regular textbooks. It helps prepare them for any further studies (whether college or vocational) where they need to learn on their own, reading a textbook. Also, good textbooks include not only basic exercises but also challenging ones. 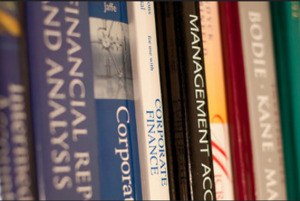 If you decide to go with some online curriculum or video instruction, a regular textbook can act as a reference and as an additional problem "bank" for those challenging problems. You can also use it to check that your student is really getting all the instruction that is present in a typical high school math course. Why videos? Because those replace the component that is present in a regular classroom: the teacher explaining concepts and ideas. Learning algebra or geometry from a textbook alone might be too difficult for some students. If the parent cannot explain the math, videos will help bridge the gap. In today's world, there exist MANY free websites with math videos that can be used. And, some companies provide videos tailored to a specific textbook. I have written a comprehensive article explaining the basic options for algebra 1 course in a homeschool setting and detailed descriptions of some textbooks. The article also lists free algebra video websites, online curricula, and gives a link to a list of algebra tutorial websites. 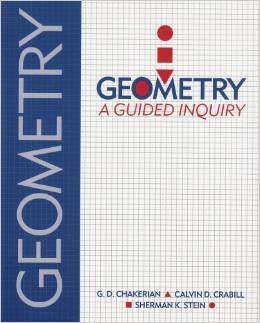 I have also heard (and based on the samples it seems so) that Teaching Textbooks Geometry is a decent curriculum. It is probably easier than the two textbooks mentioned above. Keep in mind though that in general, their grade-level curriculum is very easy, 1-2 grade levels behind Math Mammoth, and does not provide good word problems that would enable students to learn problem solving. Derek Owens courses — most of these have originally been based on a textbook, which, though no longer required, can still be used alongside the courses. No matter which curriculum you use, you can use free teaching videos by various people. These websites offer free videos online for high school math courses. CK-12 is a large, free site for learning and practicing math and science. It contains text-based lessons, FlexBooks® (digital textbooks in PDF, ePub and mobi formats), videos, and quizzes for multitudes of math and science topics from K to grade 12. Possibly the web's biggest and free site for math videos. What started out as Sal making a few algebra videos for his cousins has grown to over 2,100 videos and 100 self-paced exercises and assessments covering everything from arithmetic to physics, finance, and history. Free math videos for all topics in K-8. The videos are organized according to the Common Core Standards (CCS), but can be used even if you don't follow the CCS — just follow the lesson titles by topics. Over 6,000 free, online video lessons for basic math, algebra, trigonometry, and calculus. Videos also available in Spanish. Also includes online textbooks. I've written a review of MathTV. Online interactive lessons (free) covering high school algebra and calculus courses (including AP calculus). Over 2,000 free videos covering all high school math topics from algebra to calculus. Registration required (free). Free math videos grouped by math topic. Basic math, middle school, high school, and college levels. Also includes links to further resources. Free algebra videos presented by Dana Mosely, worked-out solutions for selected exercises, and other companion helps for Ron Larson's algebra textbooks. Video tutorials for prealgebra, algebra 1, algebra 2, and intro physics. This will also include practice problems and quizzes sometime during 2010-2011 school year. Includes both a free and paid (premium) versions. 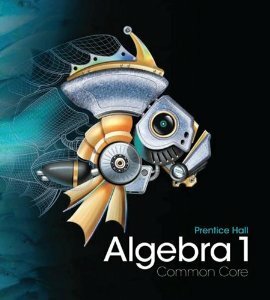 Free online pre-algebra and algebra course that includes step-by-step narrated tutorials, videos, and online quizzes. Free animated and narrated math tutorials - pre-algebra, algebra 1, geometry. Free video lectures, audio lectures, notes, and ebooks etc. for high school and college level math. Also has material for other sciences. A large online library of short video lessons and quizzes covering courses from pre-algebra through calculus. The videos are recorded by several different tutors, who vary in their methods and teaching styles, so you have the chance to learn the same lesson from several perspectives. This site includes online video lessons and other support materials to accompany Holt high school math textbooks. Click on a course, then choose the Homework help, choose a chapter, and then view the lessons.